Fans in Prague prepare for a special night at the Forum Karlin as Samantha Fox will be among the performers for the 80's Explosion on 23rd November. Get your tickets now and visit the official page of the event. Thanks to Adam for this great news. 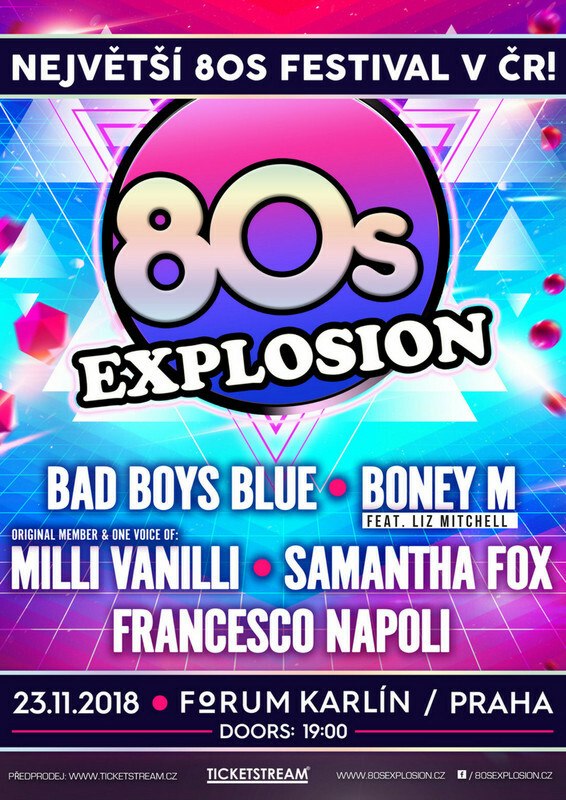 I fan di Praga potranno assistere ad una serata speciale al Forum Karlin perchè Samantha Fox sarà tra gli artisti che si esibiranno sul palco dell' 80's Explosion il 23 novembre. Potete acquistare i vostri biglietti e trovare tutte le informazioni sulla pagina ufficiale dell'evento. Grazie ad Adam per aver segnalato questa notizia.